George Clooney Is Single Again! 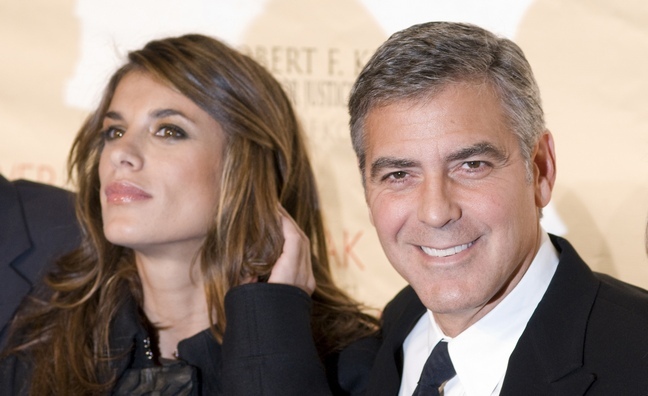 Actor George Clooney and model Elisabetta Canalis confirm that they've called it quits. After two years of dating, George and Elisabetta have decided to end their relationship. They released a joint statement this afternoon: "We are not together anymore. It's very difficult and very personal, and we hope everyone can respect our privacy." Just a few weeks ago Elisabetta revealed in an interview that she hopes to marry in the future, something that bachelor George has been adamant that he's not interested in. "I am a firm believer in marriage, in the future I will be married, but for the time being I am happy as I am. I don't need anything to confirm how happy I am."